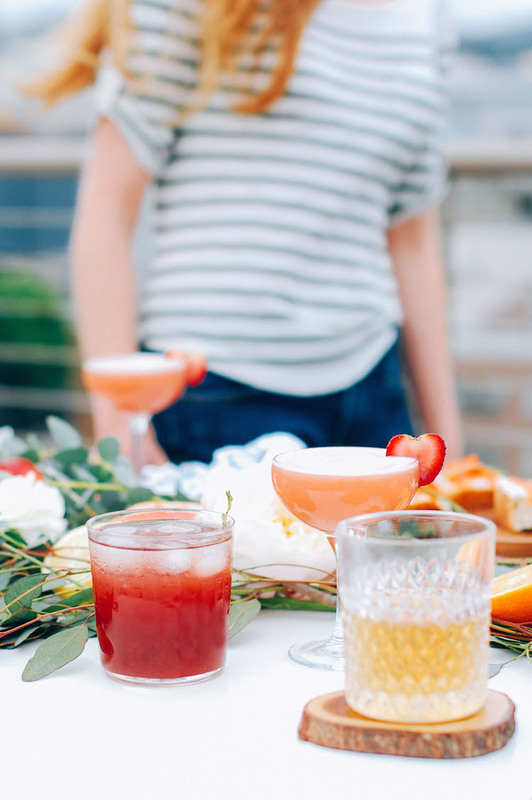 Summertime is the perfect excuse to step away from the laptop, get a little vitamin D, and to have that extra cocktail at happy hour (treat yo’ self!) 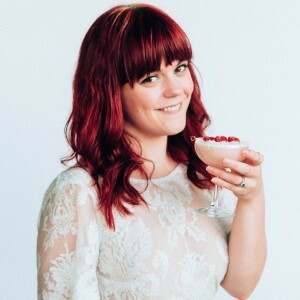 I also love this season because it is full of so many entertaining opportunities! Whether gathered around your table, in the back yard, or having picnics in the park, don’t miss out on soaking up every last second Summer has to offer. 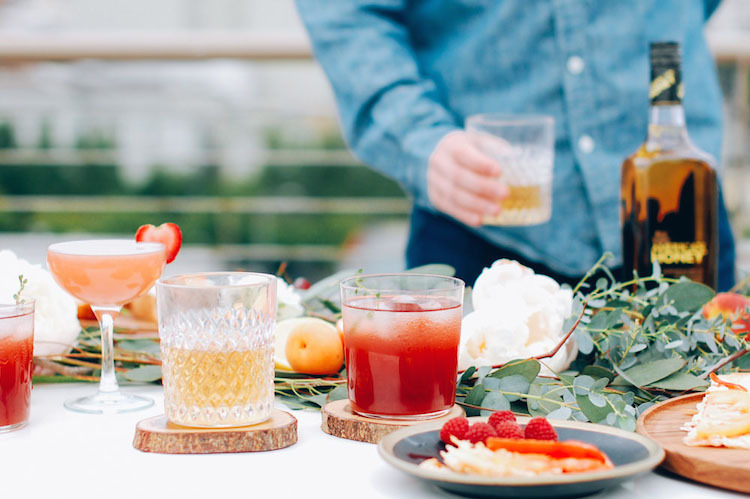 Recently, I invited a some of my friends over to celebrate Summer with a little rooftop cocktail soiree featuring Wild Turkey American Honey whiskey liqueur. 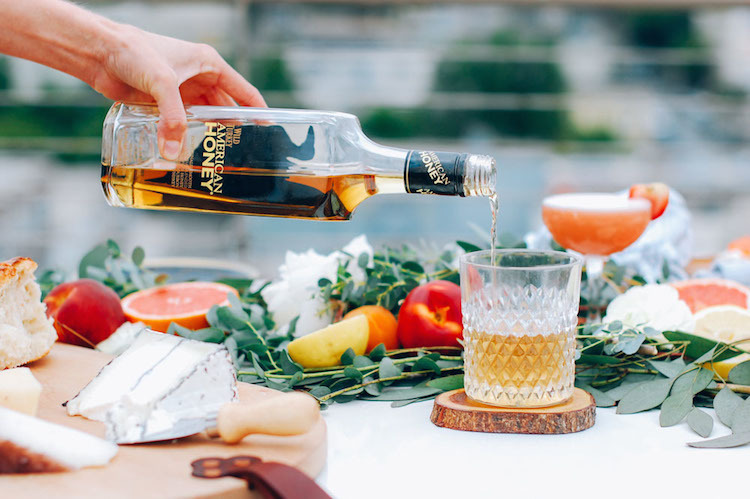 During the Dog Days of Summer, you may not think of picking up a bottle of whiskey to mix up cocktails, but American Honey pairs well with so much of this seasons bountiful produce. 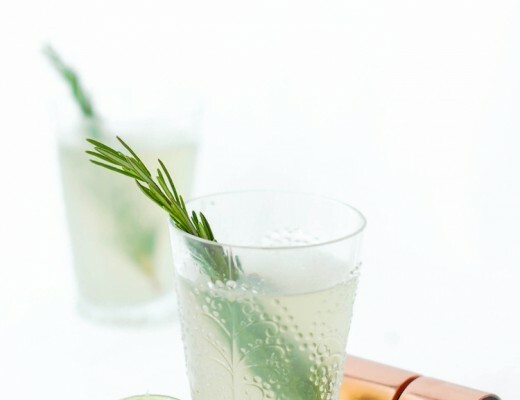 It has a sweet yet, complex balanced flavor that will be your go to bottle for Summer cocktails. It was really easy to set up the rooftop cocktail party! My desk does double duty as a dinning table with collapsable saw horse legs so we just carried that up to the roof to use. I prepared small finger foods to encourage mingling yet were still filling to make sure my guests were not drinking all of those tasty drinks on an empty stomach (no bueno.) I made a tomato and goat cheese tart squares (I followed this recipe from Design Love Fest, but used filo dough instead of the puff pastry), smoked salmon and cream cheese crostinies topped with chives, and I also offered a cheese and charcuterie plate. 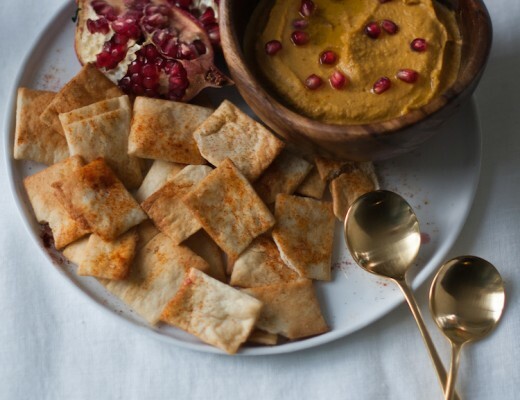 I mean, if you didn’t have a charc & cheese plate, did your party even happen?! I created a faux garland that winded down the table. I placed a few types of eucalyptus on the center of the table alternating sides as I went to create the base for the garland. I then took a variety of colorful, Summer fruits like apricots, peaches, and plums and placed them sporadically in the eucalyptus. I cut some in half to show their beautiful colors inside. For the pièce de résistance: peonies were scattered amongst the fruit and eucalyptus to give it some softness. I now want to make of these simple garlands for all of my dinner parties! I kept the place settings casual with wooden coasters to go along with the flowing, wild garland and black plates to make the colorful dishes pop. Wooden trays were used for serving to to go along with the rest of the organic feeling of the tablescape. As for the cocktails (don’t think I forgot those), I shook up two types different concoctions and also served some American Honey on the rocks. This stuff is so tasty in cocktails, but pouring it over a giant ice cube in an old fashioned glass for sipping is just as good! Strawberries might be my favorite Summer fruits. The are so plump, fragrant and sweet this time of year. 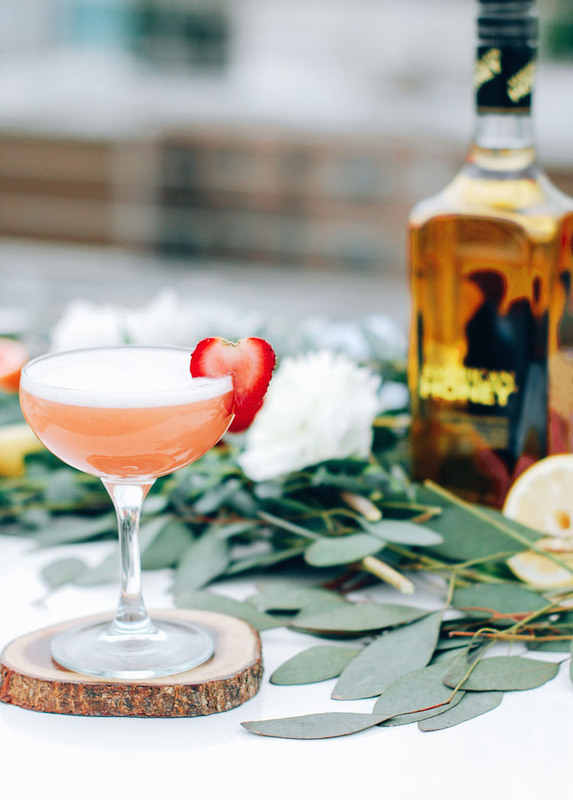 I whipped up a Summer Strawberry flip with the American Honey pared with lemon to add some acidity, and egg whites for creaminess. It hits all the right notes for me and I love having any excuse to use coupe glasses! For the other cocktail of the evening, I decided to use another tasty Summer fruit- raspberries. Is it just me or is it too easy to pop 100 of these guys in your mouth at once?! Not everyone is always looking for a sweet sipper so I added in Campari to the Raspberry & Whisky Smash. 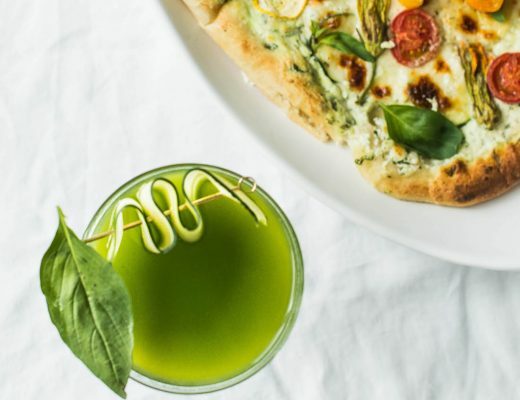 This drink gets another punch of flavor from grapefruit and thyme that add some tart and herbal notes to the mix. 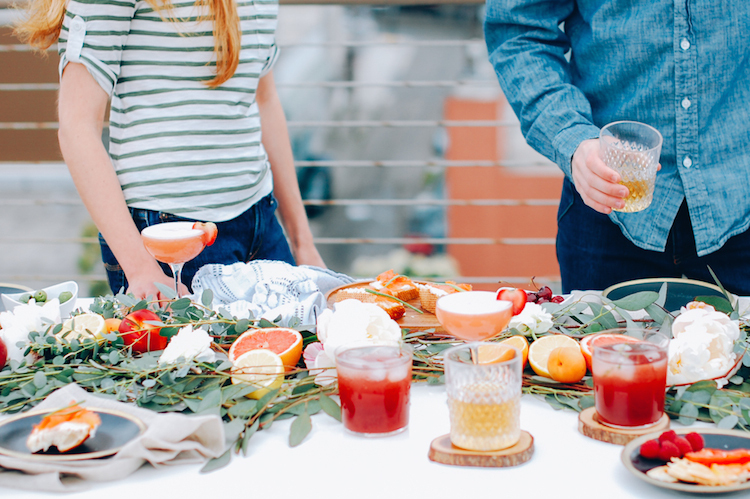 Have you ever thrown a rooftop dinner party? What food and drinks did you serve?! Thank you to Sherese, Matthew, and Kendra for being great assistants/helping me with all of the leftover cocktails! Thank you so much, Lynsey! It really was a fun day!